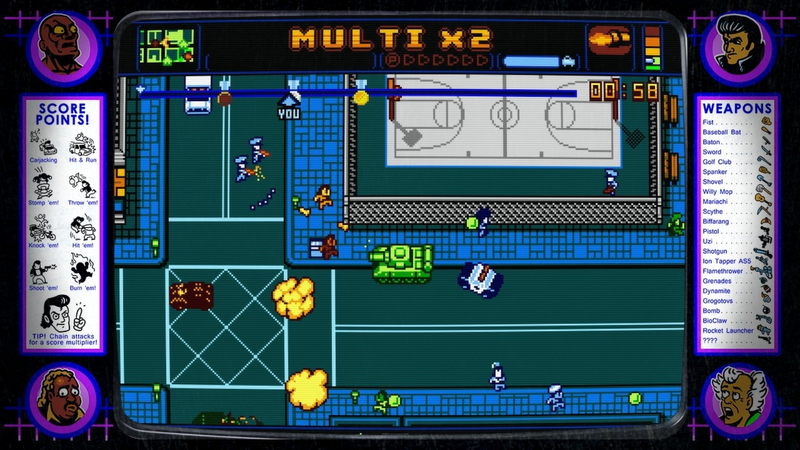 It's status as an homage to the slightly basement-dwelling days of my younger years aside, Retro City Rampage is simply a fantastic game on its own. 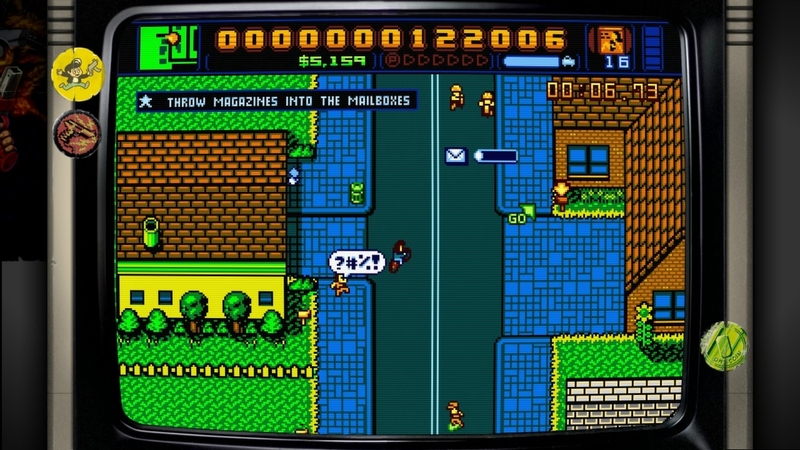 In addition to the obvious Grand Theft Auto connectionm, the game plays like a combination of a tweaked version of the overworld from the infamous NES classic TMNT and frustrating Roger Rabbit, albeit with significantly better play control. 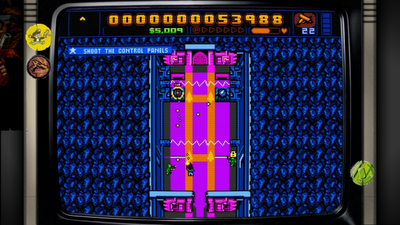 The game masterfully blends classically frustrating/endearing gameplay methods of shooting tiny guns with tiny bullets and simple 8-way movement with fresher features such as a simple cover system, the ability to "lock on" to targets, and multi-directional shooting with dual stick controllers. This makes navigating the world more of a pleasant stroll down memory lane than a disappointing, annoying experience. 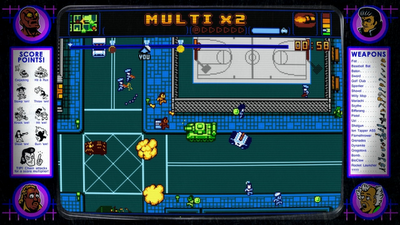 This madcap mayhem is presented in a cohesive pixel art style, reminiscent of Battletoads, with impeccable details in almost every visual element available. 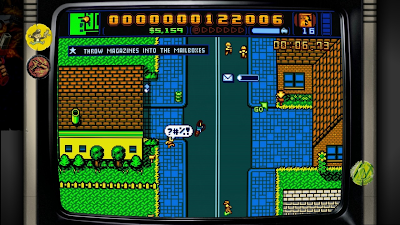 Tiny lifebars appear above enemies, every character portrait is unique, the billboards and signs across the city all have their own style - it's clear not one thing wasn't hand-created or well thought out. 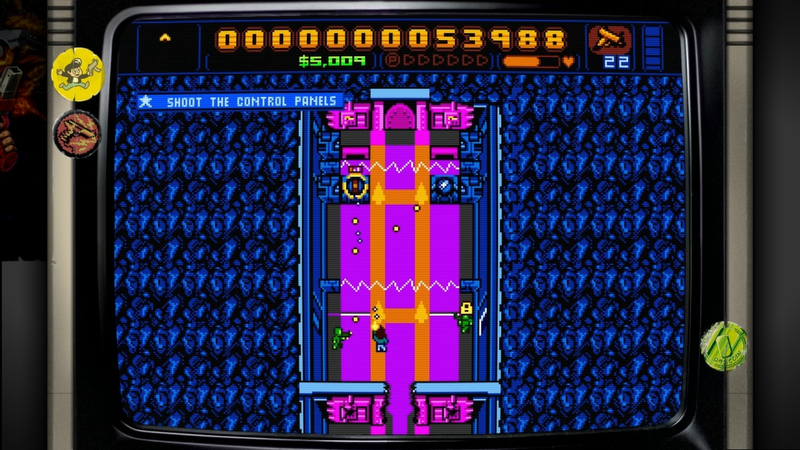 The soundtrack is no less awesome, considering that talented chiptune artists virt, Norrin Radd, and Freaky DNA were involved. 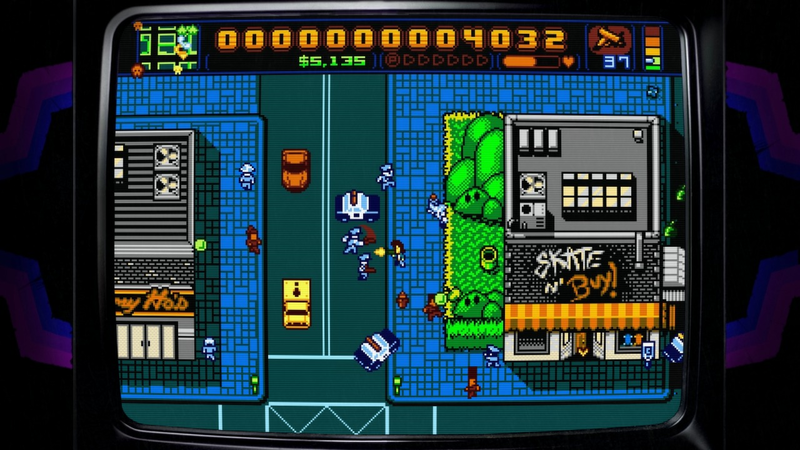 In its final form, Retro City Rampage is clearly a game that could not have been made on the original NES, if for no other reason than space requirements alone, but yet it feels like the fever dream of every third grader in 1989 - a ridiculously deep, detailed, violent, open playground. 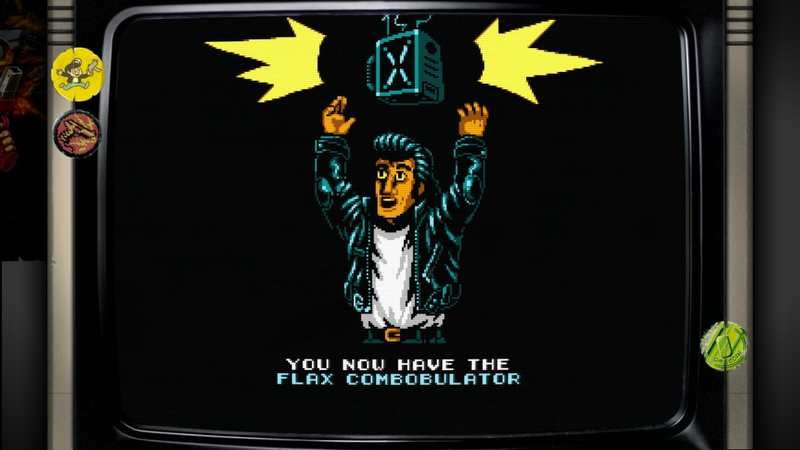 It's a game I would have wanted then, and playing it now tickles reward pathways in my brain I didn't know existed, or that have perhaps been dormant for a few decades. I'll be more than happy to curl up with a beer and a snack and slowly bask in the world of Retro City Rampage in a futile attempt to warp back to the days before Twitter, Justin Bieber, and iPhones. However the land of RCR's Theftropolis might not hold the same allure for younger gamers. The gameplay will be enjoyed by all, don't get me wrong. On the other hand, the synergistic and intoxicating effects of the limitless nods to times gone by will fly right past the current generation, and this is perhaps its greatest weakness. 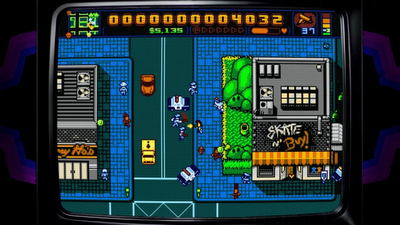 Purchase the PC version of the game here (from the Retro City Rampage website).